If you want to get ahead in your business, it is really important to see to it that the customers are happy with your products. So how is it that you know you’re giving them what they really want? The easiest way is to conduct a survey and take their opinion. 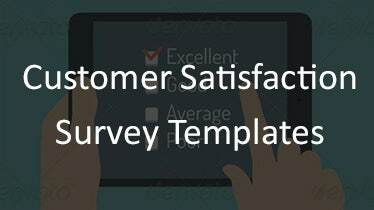 A sample customer satisfaction survey templates is a survey that is conducted by businesses to estimate how happy their customers are with their services. It is important to make a customer satisfaction survey periodically so that you maintain a great relationship with them. The Retail Store Satisfaction Survey Template helps you to create a detailed feedback collection form that can assist you in asking various questions about your targeted consumer base’s likes, and dislikes. 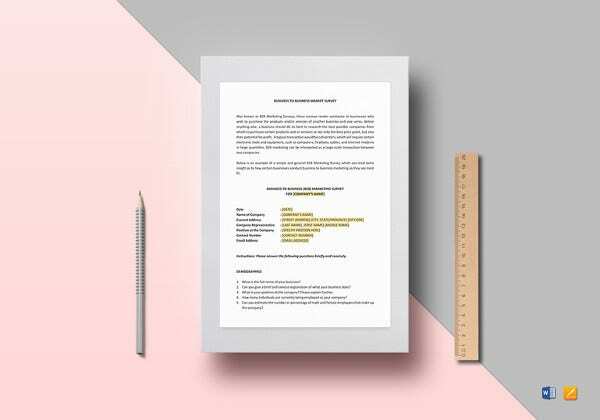 All of these templates come with pre-defined sections and headers that can help a business in maalsying its strengths, weaknesses, areas of excellence, and other vital factors that can help them win higher customer satisfaction rates. 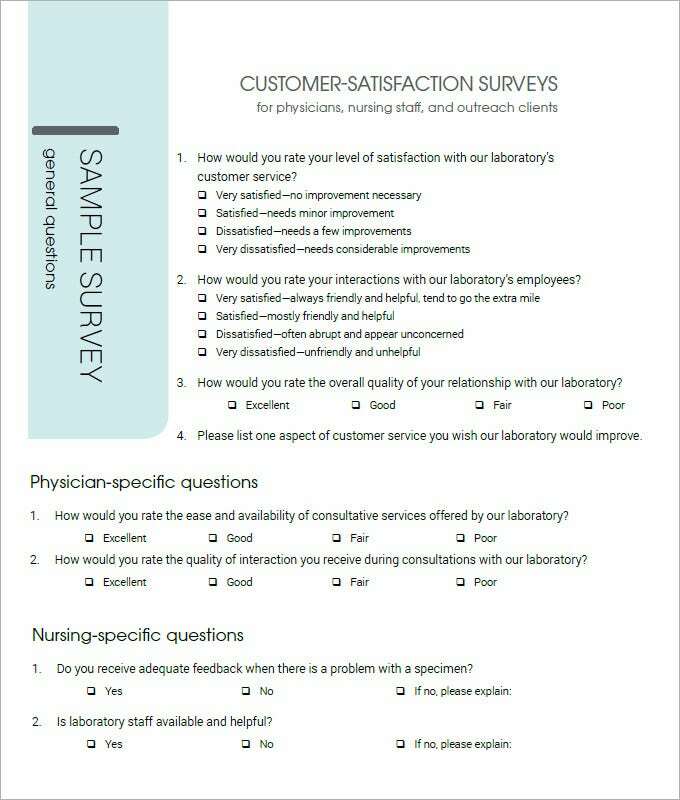 The Customer Feedback Questionnaire Template is a detailed form that carries a customer feedback questionnaire layout to help you analyze and portray how happy your customers are with great ease. 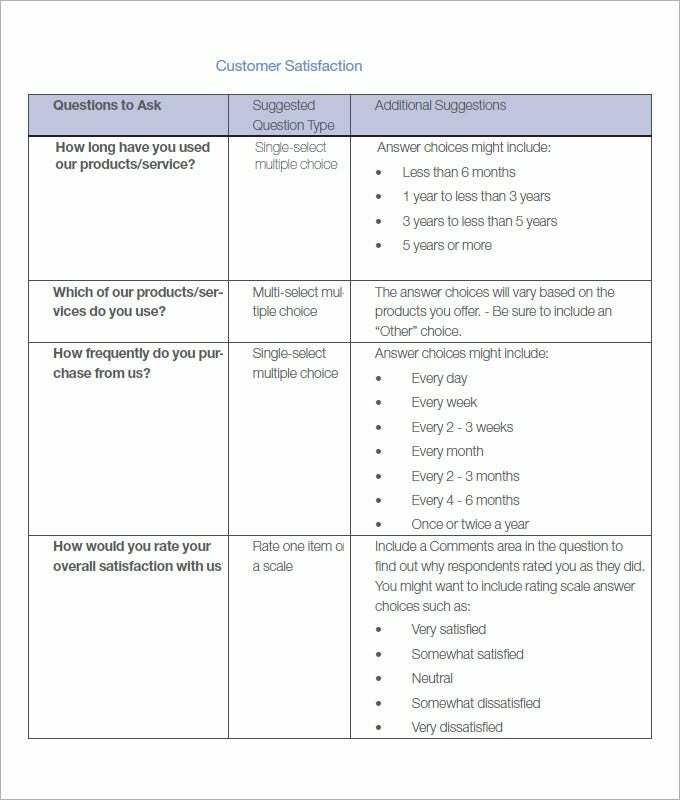 All of these templates contain various questions and sections to help you analyze the weak areas of your product or services, and seek suggestions from customers to improve it. 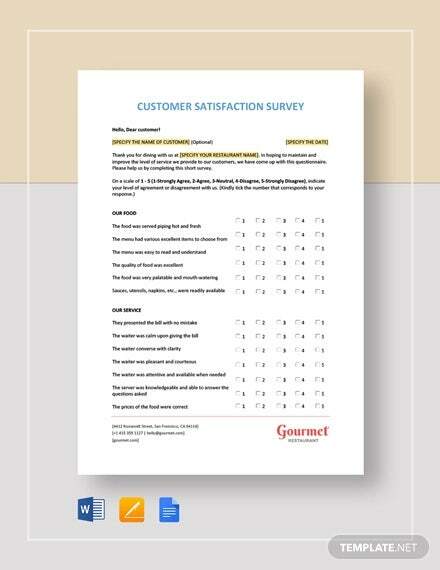 The Restaurant Customer Satisfaction Survey Template enables you to run effective businesses by adopting simplified methods for collection consumer feedbacks. 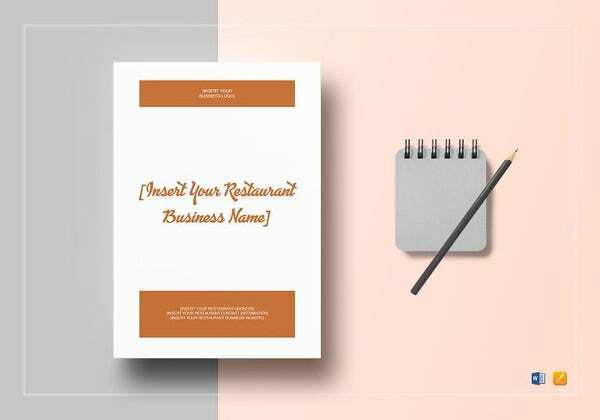 All of these templates have a clear focus on creating, drafting, customizing, printing, and sharing detailed customer feedback forms that can enforce your restaurant to deliver a pleasing experience. 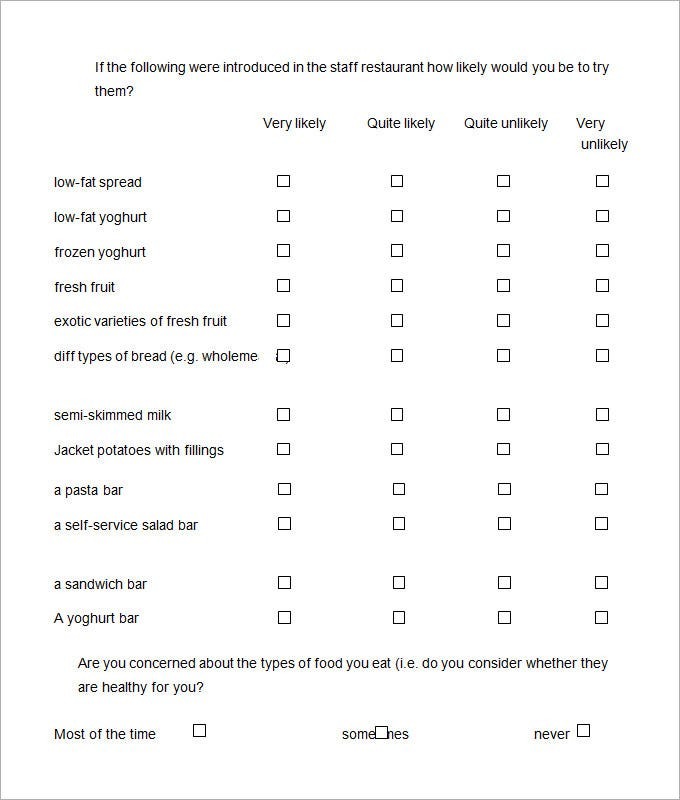 As the name suggests, the Hospitality Customer Satisfaction Survey Template helps you to understand, determine, identify, and keep a track of reviews that customers has shared with your team to provide their valuable feedbacks. These already made templates can be used to understand customer’s psychology and offer better products and services with each passing day. What does a customer satisfaction survey usually consist of? 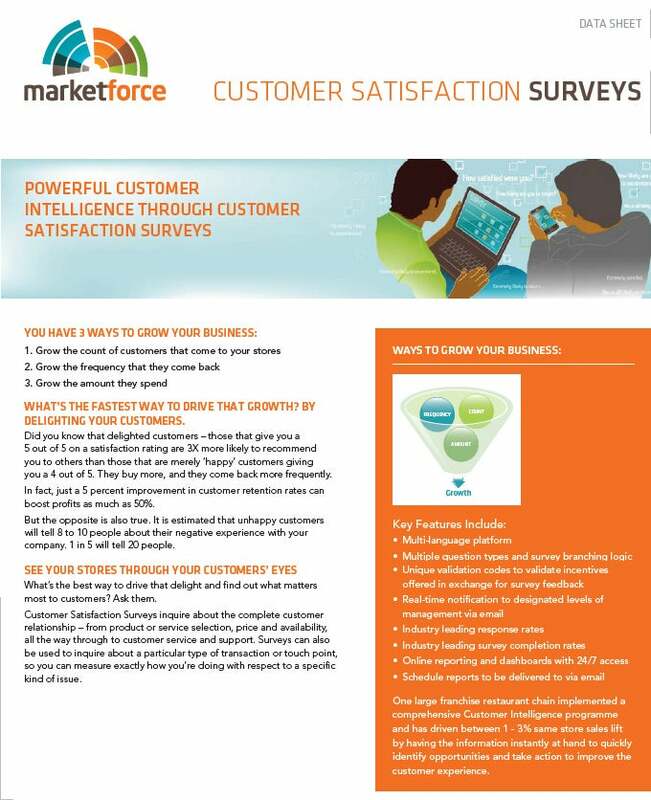 A free customer satisfaction survey is designed based on the business in question. 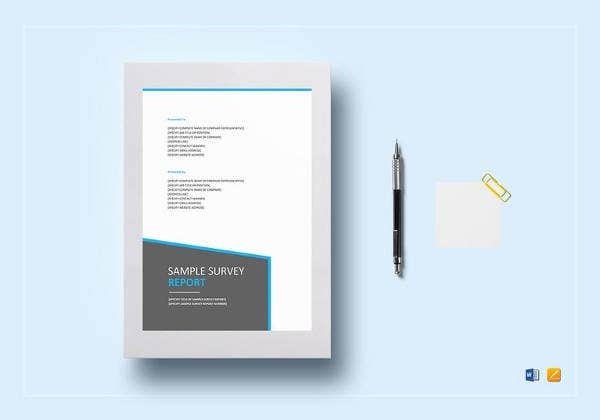 Before you download one of the sample customer satisfaction survey templates that we have got for free, you should know what a survey such as that is usually made up of. 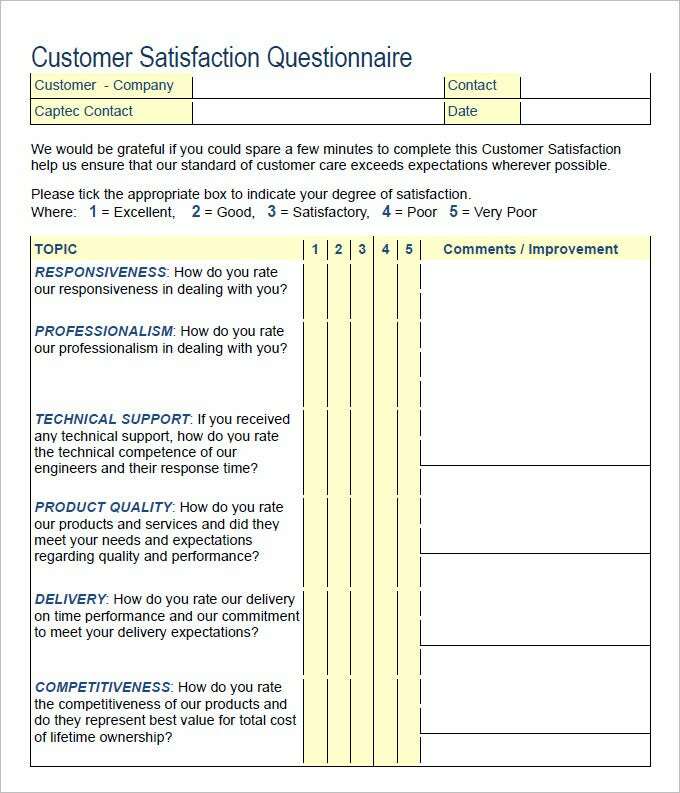 Here are all the components of a customer satisfaction survey template listed out. A long list of questions that are related to the product are made and asked for the customers to answer. The details of the customer may or may not be asked as a part of the survey. Customer satisfaction surveys are one of the best methods to analyze your current position in market and to gather information about how you can make your product or services better. 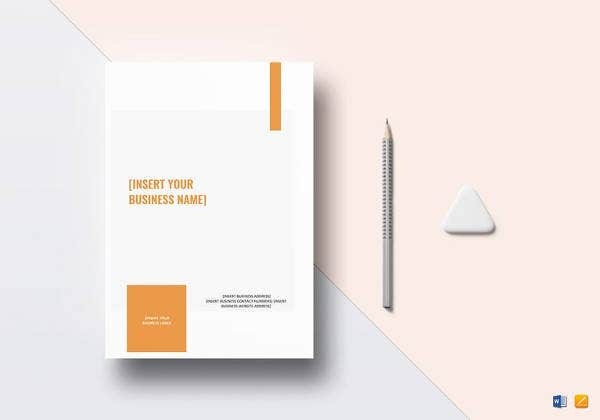 All of these templates are specially designed to help you gather information about your customer’s experiences, their likes and dislikes, along with certain factors that can help you retain existing customer base as well as expand your business amongst new and potential customers. Since a business’s success depends on its strong relationships and market value, most of the companies conduct regular feedback sessions to ensure that the products and services are at par with customer’s desires and expectations.hope these templates will help you. 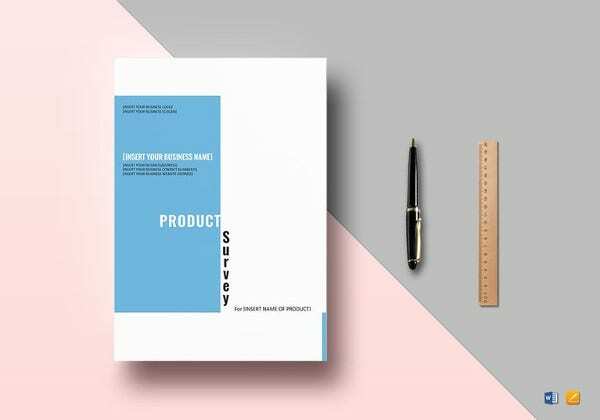 All of these templates can be of great help while analyzing, recording, and determining customer’s feedbacks to make your product or service better and up to the mark. Coming with a detailed set of questions and sections, you can use these templates to make changes in your services for ensuring that you retain existing customers and add a pool of new customers to experience higher business success. We have collected wide range of Career related Plan Templates.